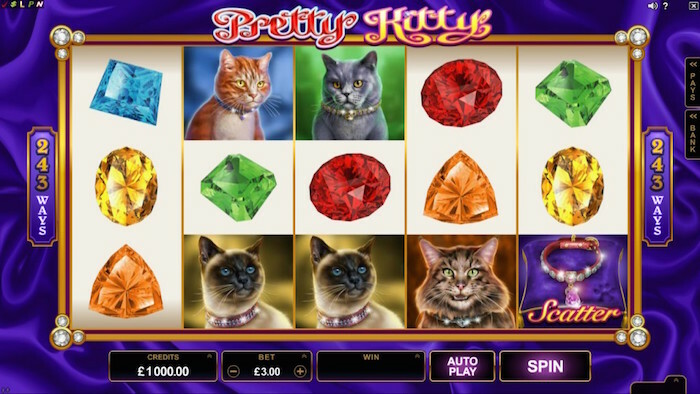 Pretty Kitty is one of the latest UK online slots to be released. It has just become available at the time of writing. The game does of course include its fair share of kitties, but it has a little more to offer than that. It has a nice luxurious feel, so if you want to be one of the first players to try Pretty Kitty, make sure you find out more about the game here first. The Pretty Kitty game is a 5 x 3 reel, 243 ways-to-win game, meaning there are zero paylines to worry about. The cats in this slot game seem quite pampered, as they’re all wearing jewel-encrusted collars. That’s the reason why some of the other symbols in the game are jewels, and not just cats. The betting is kept nice and simple with the 243-ways-to-win feature, too, so you don’t have to concern yourself with paylines. While Microgaming’s Pretty Kitty slot isn’t 3D, it does have a nice polished feel to it. The graphics are appealing, and that extends to the pay table as well as the main game. This is where you’ll find out what some of the game’s special features are, such as its expanding symbols – a nice addition we’ll come to in just a moment. Since you don’t have any paylines to worry about, you only have to adjust your bet amount by using the controls at the bottom of the screen. You also have an autoplay feature to use if you like to sit back and watch progress as you play. The main symbols in the game are the cats, and any of these can turn into expanding symbols as mentioned previously. There is a Pretty Kitty logo in play which acts as a wild, and the cat’s collar is a scatter. There are also five jewels that can show up, but none of these have the expanding capability. Most symbols require you to get three or more to unlock a win. The one exception is the scatter, where you need only two to win something. Remember this is also a 243-ways-to-win game, which means you can get wins if the required number of symbols show up adjacent to each other. These are called ‘way wins’. Okay, let’s get back to those expanding symbols. This doesn’t refer to expanding wilds, but the feature does work in a similar way. If you spin the reels and the same symbol appears in all three positions on the first reel, every other appearance of that same symbol on the other reels will also expand to fill the relevant reel(s). This happens only when you have a matching combination, but as you can imagine, it is capable of increasing your return on that one spin. 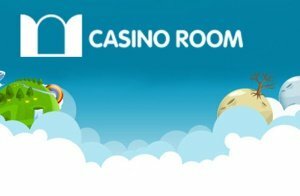 When this feature occurs during the free spins round, it works in the same way, but with an added bonus. Every instance of the wild that appears will also turn into that same symbol and expand accordingly. It sounds a bit complex, but as you play (you can try the game free) you will see how it increases the fun with each spin. 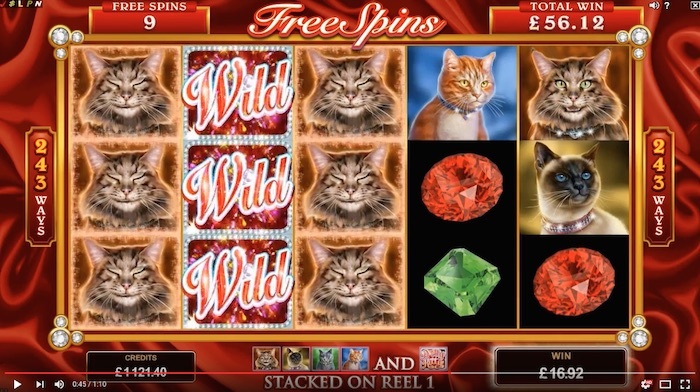 You will need three scatters at the very least to unlock 15 free spins in the Pretty Kitty slot game. You might get lucky and retrigger these, but even if you don’t, you can look forward to stacked wilds on the first reel for the duration of the spins. Your minimum bet in the Pretty Kitty online slot is 30p, but you can increase this by using the plus button next to the bet amount. You can go as high as £75 if you like. If you do adjust your bet amount, the relevant win amounts in the pay table will change as well, so you always know what is at stake here. The payout rate is set at 97%, which is pretty good all in all. Most people will be able to afford a spin at this, since the lowest bet is 30p. When you consider there are well over 200 potential ways to win per spin, it is actually a lot more cost-effective to play in some ways than a traditional 30-line slot.